Drinking alcohol and getting behind the wheel can be dangerous. While beer and wine can also create the risk of DUI, hard alcohol, can be especially deadly for drivers, particularly teens. 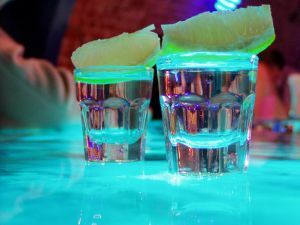 According a recent publication, underage binge drinkers prefer hard alcohol, especially vodka. Binge drinking is popular among teens and college students and can pose a significant risk of health problems. Those who regularly binge drink are more likely to suffer injuries and falls, alcohol poisoning, and other consequences, including drinking and driving accidents. Researchers found that beer is consumed in less than one third of binge-driving episodes among drinkers aged 13 to 20. Researchers also found that binge drinking was more likely when teens were consuming specific brands. The study sheds light on certain binge drinking practices and is a reminder to parents and teens that drinking can be a dangerous pastime, especially if teens decide to get behind the wheel. Our Boston drunk driving attorneys are familiar with drinking trends among teens and young people. We are dedicated to raising awareness to prevent drinking and driving accidents and to keep roads safer for all motorists. Researchers asked participants in the survey about their binge drinking habits over the previous 30 days. Binge drinking is defined as having 5 or more drinks in a row for males and four or more drinks in a row for females. Authors of the study pointed to the alarming reality, that 4,300 young people die every year because of alcohol use. Underage drinking also costs an estimated $24.6 billion, according to the direct of the Center on Alcohol Marketing and Youth at the Johns Hopkins Bloomberg School of Public Health. The study is a reminder that local, state, and federal policy and lawmakers should address the dangers of youth binge drinking. The study was published in the Journal of Substance Abuse and respondents were asked about consumption of 900 brands. Respondents reported using hard alcohol in 44 percent of binge drinking episodes. For teens and college students, vodka was the most popular hard alcohol — present in 12% of all binge drinking episodes. Researchers were also surprised to discover that binge drinking was associated with specific brands, including Bud Light, Jack Daniels, Smirnoff, and Coors Light. The authors noted only 25 brands accounted for almost half of all binge drinking. The study also revealed that binge drinking accounts for 67 percent of all underage drinking consumption. Binge drinking is extremely dangerous and can lead to a host of negative consequences, including drinking and driving, sexual assaults, suicide, and alcohol poisoning. The authors of the study hope to better understand trends and create more awareness to prevent binge drinking among young people. If you or someone you love suffered an alcohol-related injury or you were involved in a drinking and driving accident, remember that you do have rights. An experienced advocate can review your case and help you recover compensation for medical bills, pain and suffering, lost wages and any other losses you have endured.